One needs to read Part 1 and Part 2 before this article, or it won’t make much sense or hold up. I’m sorry, it’s just the way it is. One can even sprinkle on a Part 3 topping if one so desires. It should be noted here that this is a theory……one I call The Great Shifty Rifty Myth Theory. 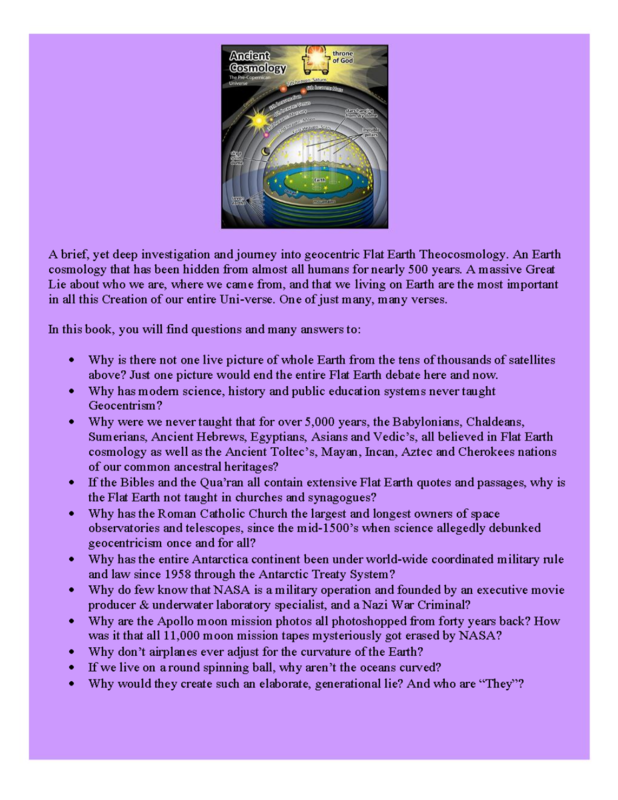 The flat earth model enables one to re-look with new eyes at ancient cataclysm, myth, and warning. We no longer see the “Great Rift” (also known as the Dark Rift) as being in the “galactic centre” from our new stance, we now see it as being a kind of tear in the celestial dome that spins around our disk. This is because the stars are now all “spherical earth sky” because the theory of being at the edge of the galaxy has been quashed. We are at the centre of things within the flat earth model. 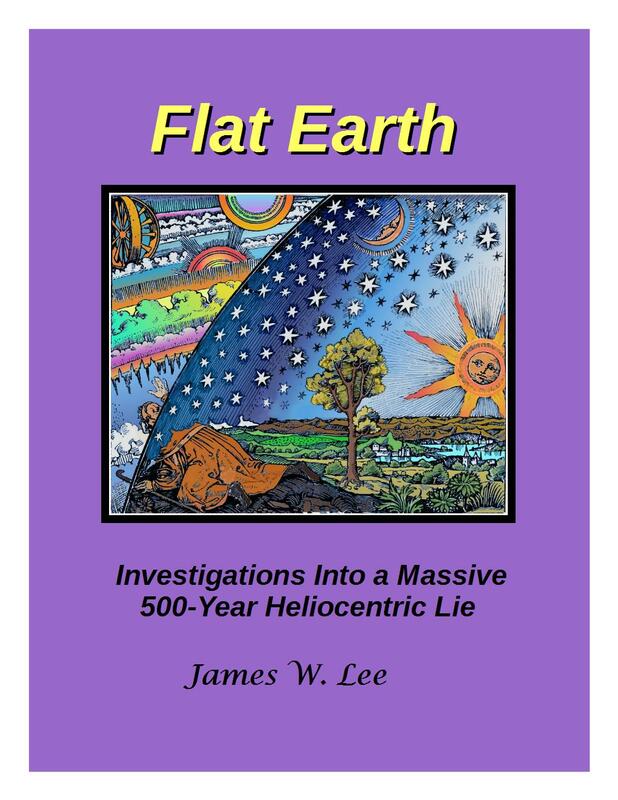 Other flat earth dudes (all 20 or so? heheh) have not done the research into ancient myth, and the ancient myth dudes strangely laugh at the flat earth model, so we are pretty much in brand new territory – seeing things with new eyes. So, most of us know there were ancient cataclysms; the flood story is rife through all traditions, and it’s generally believed that the last cataclysm was sometime between 9,000bc and 13,500bc. One could even ask themself why the oldest living tree on earth is only 5,000 years old. Also many looking at the geological strata (the top layers of the surface of the earth) say they are only a few thousand years old. But that is all for another time, we have much to cover. So which myths of cataclysm, warning, and creation, talk of Galactic Centre, and/or the Dark Rift? 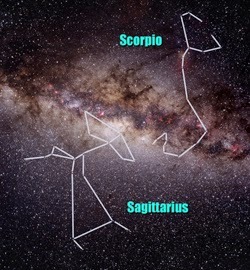 The area that sagitarres’ bow, and Scorpions poison tail both point towards! If we look up at the Dark Rift, without any conditioning from NASA or the Government (e.g educational bodies) – we see it simply blocks out our view of a bulge (egg, celestial ball, call it what you like) in the nights sky. Look at this for a while, see into it, forget labels.